The "Wheel of Life" is a powerful coaching tool - and can be used in many different ways! 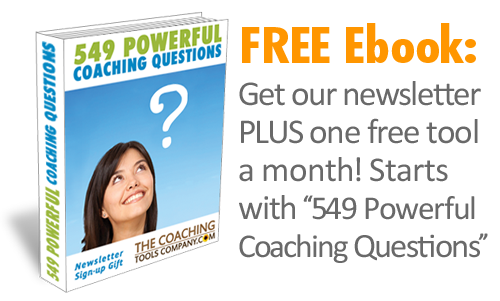 In fact it may just be the best and most flexible coaching tool in our coaching toolbox - and that's why I wrote this article chock-full of new ideas of how you can use our Free "The Wheel of Life" in your coaching practice! PLEASE NOTE: We have two Free Wheels of Life! 1) Our completely customisable "Blank" Wheel of Life and 2) We also offer a Wheel of Life with 8 pre-labelled segments for a balanced life. The Wheel of Stress (or Wheel of Frustration). Start with our Free Blank Wheel and ask your clients to list the top 8 areas that stress them out or frustrate them most. And then ask them to score each area out of 10 as to how much it adds to the stress in their life. Then of course, review the results with them. Tip: Ask, which area frustrates or stresses them out the most? Are there any surprises? How could they lower their scores? What actions could they take? The Wheel of Progress. When used on a regular basis The Wheel of Life is excellent to help your clients see how far they've come. Use it monthly or quarterly with your clients, as both a check-in to see how they're doing AND as a way for them to see how they've improved and grown. Improved scores demonstrate concrete value from coaching and provide a discussion point to help clients see their learnings and progression. Tip: It's a bit like looking back over an old journal and seeing how far you've come! The Wheel of Happiness, Fun or even Excitement! Does your client need help to create more happiness, fun or excitement in their life? Well, ask them to identify 8 areas or things that are fun or make them excited or happy. There are different ways to score this - you could ask them to score how satisfied they are with each area, or how MUCH each area excites them, or how much they WANT to 'do' or feel drawn to each area. It depends on the labels you've used. Then ask your client for an action or commitment for each segment. Tip: Ask what they notice. How could they bring more of each segment into their lives? Help them find multiple wins - where one action raises their score across a number of areas. Love this? You may also like "What Makes My Heart Sing?" Getting a Deeper Understanding. Use the wheel to drill down into each area and help your clients understand their lives and issues more deeply. So, take one of the segments and ask them to write out a further 8 areas that make up that segment for them. Eg. a 'Finance' wheel could include saving for a house, budgeting, focusing on buying needs and not wants, saving for a rainy day, paying off debts, getting a pay-rise etc. Tip: This is great homework - to identify areas to bring to the session and work on. The Wheel of Compassion. There are few of us who couldn't do with more self-compassion. Ask for 8 areas where your client could be more kind or compassionate with themselves. Get them to score HOW compassionate they are currently - and to identify an action for the top 3 areas that need kindness or compassion most. Tip: Try this one on yourself. Where do YOU need to be kinder with yourself? Set More Meaningful Goals. The Wheel of Life is a great way to help a client who is struggling to identify goals. Low scores point to areas where a goal could be identified to raise their score. And high scores suggest areas where a goal could really BOOST your client and skyrocket them in their lives. When we work on where we're already doing well - this spins off into other areas in our lives and lifts them too. 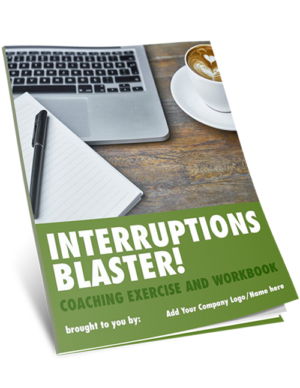 Tip: This is great for business and career/executive coaches - to ease clients into thinking about their personal lives - which we know will, of course, benefit their careers and businesses in the long run. The Wheel of Priorities. Ask your client to label their Top 8 priorities - across work, home, relationships - basically their priorities in life overall. First, ask them to identify their Top 3 priorities. Then ask them to score their satisfaction out of 10 for all the areas. This approach can also be used to look at a specific area of life eg. career, finances or even to prioritise goals! Tip: What do they notice? How does the score for their Top 3 priorities compare to the lower priorities? Do they have their priorities 'straight' or do they need to shift their focus? What actions could they take? The "Skills and Knowledge Gap" Wheel. What are the Top 8 skills and knowledge gaps your client has that gets in the way of that job, promotion or new career? Ask your client to identify their gaps and then to score out of 10 where they are on the road to filling this gap. Finally identify action next steps for each 'gap'. Tip: It helps to clarify whether each 'gap' is a skill or knowledge gap. AND it's also important to do a 'sanity' check that the gap is fillable and that it's a skill they are able or WANT to fill! General Action Planning. The visual wheel format is also great to make action planning more fun. So, using a blank wheel, write the goal or required outcome at the top of the page. Then ask your client to write out the next 8 actions or chunks of work that make up their goal. Tip: If you get them to put a date against each action - they can then use the 'pieces of pie' to record the % complete for each area! Using a wheel is also a great way to BREAK DOWN bigger actions into smaller more manageable chunks. The Relationships Wheel. This is a wheel ABOUT relationships. Ask your client to list the 8 people that most energise or drain them and then score HOW energised or drained they feel after spending time with them. Then ask what they notice. Tip: Ask them what % of their time they currently spend with each person. For the energising people you could ask how they could spend MORE time with them? And for the drainers you could ask how they could spend less time - or change the way they spend time with them. Love this? 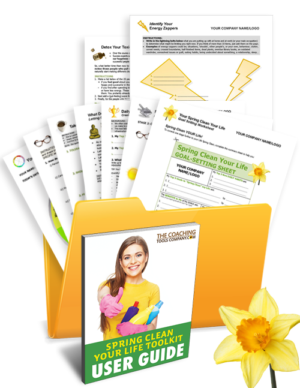 You may also like our "Detox Your Relationships" Coaching Tool. The "Finding Love" Wheel. Our final suggestion is to help your clients identify what they are looking for in a relationship. Ask your client to take the blank wheel and label the pieces of pie with the 8 essential qualities their ideal partner would have. Then ask them to score how IMPORTANT out of 10 each quality is. This will help them identify which qualities are MOST valuable. Tip: It's a good idea to set this one as homework and encourage them to think broadly about qualities that are REALLY important in a LIFE partner. And, depending on your client, by giving them a few examples to start with like "good listener", "kind", "spiritual" can get them thinking beyond "tall" or "good looking". So, obviously you can use as many segments as you like on your wheels, you're not limited to 8 wheel segments - but it is easy to divide the wheel up this way! Final Tip: And whatever we've used the wheel for I like to ask this question when complete, "So, if this wheel represented your life/relationship/career/marketing strategy, is it a bumpy ride?" I hope this has given you some new ideas for using "The Wheel of Life" in your coaching practice. Why not give one a try - it's wheely good! How To Create MEANINGFUL Goals With The Wheel of Life Template! And remember - we'd LOVE to hear how YOU use The Wheel of Life - just comment on this post below! Brilliant. I can't wait to try these out, especially The Greater Understanding one. As a Business Mentor, I often use the wheel of life to help clients look at their business. We look at Niche, Brand, Sales, Marketing, Speaking, Products, Services, Programmes, as well as use it for goal setting. 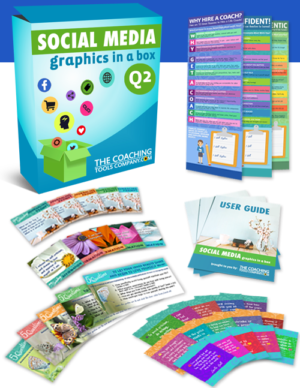 It's a fantastic visual tool for gaining clarity and instant overview. I believed that this is a very functional tool no matter how old it is or not for some coaches. It is always something new for anyone that have not had the opportunity to apply it. If you are creative in its use you can help a lot of people with it. For example, I used once in a lesson study in my church to make people look deep inside pertaining our behaviour as believers in God. This was just a review of the spiritual part of ourselves. Thanks for taking the time to comment Sara. I use the wheel as a "time spent" assessment tool. * How much time do you spend on each of them? * What are the areas you would like to increase or decrease the time you dedicate? Thank you so much Emma-Louise. When I see an email from you in my inbox, I do so look forward to opening it - it's like receiving a communication from a wonderful friend. Your work is so helpful and inspiring. I find myself thinking bigger, bolder and boundless. All the best for a fantastic 2017. I'm beyond thrilled to have recently discovered your site and tools! As a health coach, I'm adapting many of them with ease to use in my new 1:1 work. 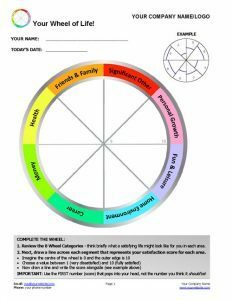 I was especially thrilled to find the Wheel of Life template as I'm preparing to give a short talk at a health clinic about Balancing Your Wellness Wheel in a couple of weeks. This is making my work so much easier! 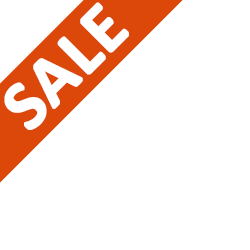 Your program is really simple, affordable, and not stressful, You are amazing!!! I would definitely use all your tools, for my coaching. This is exactly what I've looking for. I'm just getting started. Love your resources! Thanks a ton for contributing to the coaching community, you inspire me. I recently used the wheel as a frame to help a team take stock of where they are on multiple aspirations that they prioritised that they want to focus on. And when they noticed that the spokes for the different aspirations were differing in length, they realized that this is going to be a ‘bumpy ride’ for all, if they continue this way and what emerged as a solution was to distribute action accountability among themselves to ensure that they are seeing progress on all the aspirations. Your inspiration has worked and sparked ‘contribution’ within me.